ATLANTA, September 19, 2018 – T.E.N., a technology and information security executive networking and relationship-marketing firm; and ISE® Talent, an information security recruiting firm specializing in executive-level searches as well as high-demand industry skill-sets and specializations, awarded the Marci McCarthy Cybersecurity Certification Scholarship Program to two deserving individuals during the 2018 International Consortium of Minority Cybersecurity Professionals (ICMCP) Awards Gala in Atlanta, Georgia on Tuesday, Sept. 18, 2018. Marci McCarthy, CEO & President of T.E.N. 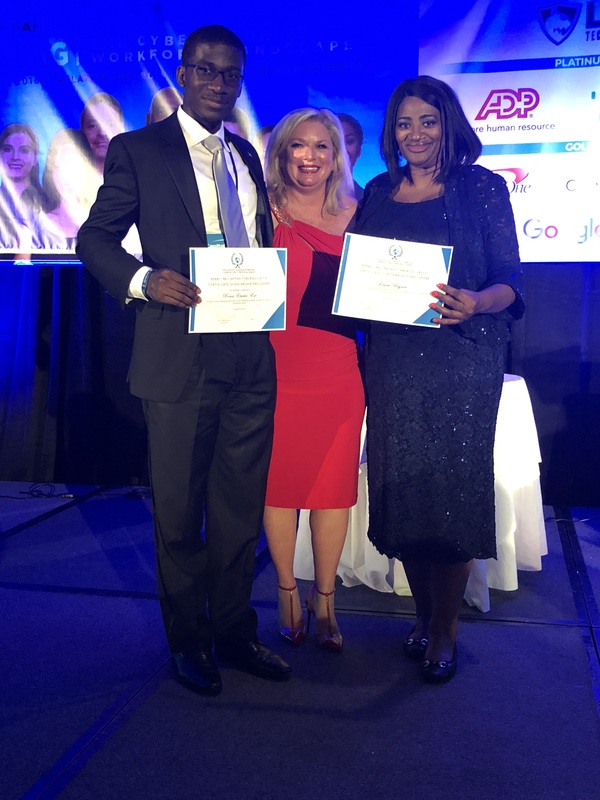 and CEO & Chairman of ISE® Talent, announced that after a thorough and extensive decision process, Roncs Etame-Ese and Renee Payne would be the newest scholarship recipients.